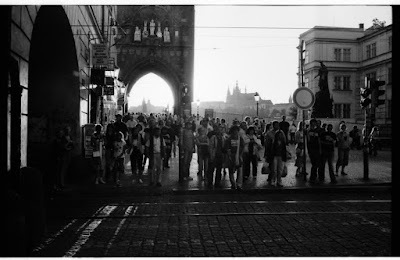 I bet everybody who has ever been to Prague was here - at the entrance to Charles bridge with a view on Prague's castle. It's raining in Prague. And when it is raining in Prague, you better not wear flip-flops. I can confirm they are way too much dangerous on Prague's polished stone block paving. One more (photo related) thing - we had a photoshoot today and you can guess my excitement when we were shooting with a Hasselblad H3D-39 :) I don't think you can get much better. The pictures from H3D are just stunning! If you'll ever need a pro photographer in Prague then I suggest Radovan Subin.